Kochin Bug Curry: fresh Balmain bugs in classic South Indian style, cooked in three extractions of coconut milk, gently stewed and lightly spiced with cloves and green chillies. Situated in the bustling heart of Sydney with magical views of Darling Harbour, Manjits Wharf is the latest dining sensation offering a culinary journey to reimagined Indian cuisine. Immerse yourself in scenic surrounds at this Lime Street location, with inspiring vistas and a creative menu like nothing you have experienced before – changing your idea of Indian fare forever. A floor to ceiling glass frontage puts diners right on the water as crisp white tablecloths and softly glowing lights set a moody vibe, ideal for starters like seasoned Hervey Bay scallops, seared in fennel oil and served on a bed of lotus root and beetroot powder. For the main affair, delve into Mum's goat curry, with a gravy of browned onions, ginger, garlic, black cardamom and cassia bark; teamed with saffron rice. Don't Forget Your Vegan Friends! I have been a fan of Indian cuisine throughout my adulthood and have lived in England and visited Singapore, two major hubs. Yet it is in Sydney that I have found my favourite. Manjits flavours are to the fore, whilst using quality produce. 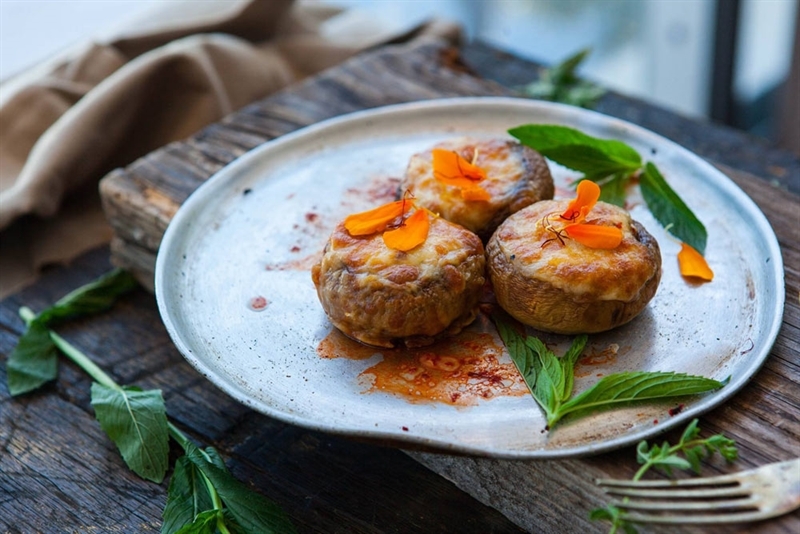 Meat lovers may opt for the Lamb Shoulder or chicken, but even they will marvel at the vegetarian selections. When combined with professional service and a genuine hospitality, it all makes for an experience that is hard to fault. Service is so nice. Creative styled and well executed meals by head chef Varun. Where taste is the focus! Best modern Indian food in Sydney and most likely in Australia. Great, professional staff, very good wine list and fabulous location to enjoy the time out. I have been there several times and will returned for more. I'll keep this short and sweet. I have been to Manjits quite a few times now for their great food and view, and never have they disappointed. This day and age presentation is everything and they ALWAYS deliver with their interesting shaped plates, great smelling food and table entertainment. Thanks, we had a great evening at great place. it may have taken a while to get to my mouth,thanks Mian sb inviting me for dinner, I've found the best place to eat on the planet. "keep it up. Mesmerizing Indian Food, a true class for Fine Dining. Smoked Eggplant and Tandoori Zucchini are my favouriate and truly recommended. Delicious food, amazing service, and fantastic overall experience. Truly amazing food, fabulous staff, great location! 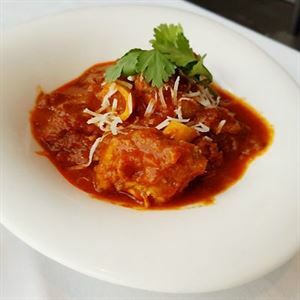 Manjeet’s is doubtlessly the best place to enjoy Indian Cuisine in Sydney. There is no other place that can come anywhere close to them. Best Indian food I've ever had.... And I'm indian. I really mean it. Manjit's definitely tables top class Indian food in Sydney. 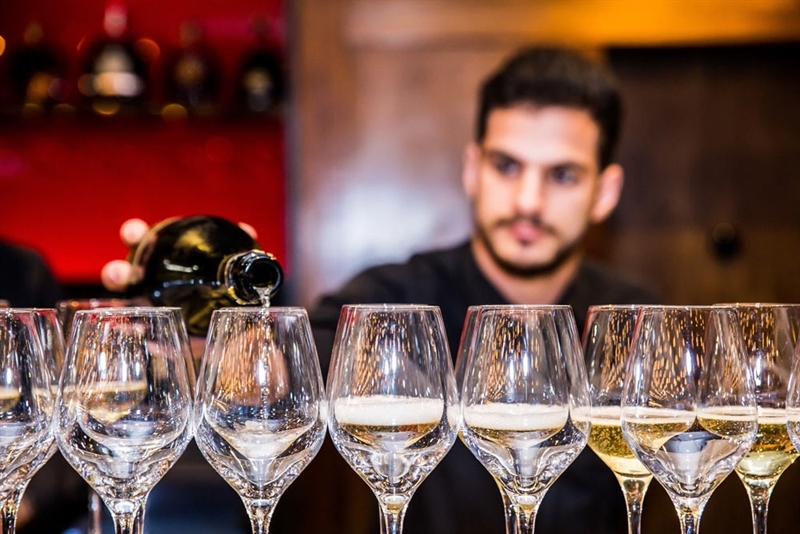 Whether its in their restaurant, or catering for important functions they consistently maintain top class ! Best place for Indian food away from home. I have been at Manjits a few times and all my visits have been amazing. The ambience, food, service all top of the level. The whole team at Manjits are fantastic and the food is the best Indian I've ever had. & honest to goodness hard working outfits delivering tasty, quality food. We all looked forward to attending functions when they were being catered by Manjit s. How far they've come is testament to the quality all his restaurants/function centers enchant us with. Keep up the aromas! Delicious food. Beautiful ambience. Impeccable service. Great hospitality . Yummy food, great staff and kudos for sparing 15 seats at a moments notice on an already fully booked night. A Paragon of the finest Indian hospitality has to offer! Dining at Manjits at the Wharf is an authentic culinary immersion into the aromatic and gastronomical Indian experience! This is delivered by an experienced, customer-centric team that ensures every visit of yours feels like royalty! They are surely the pioneers and leading innovators in Indian cuisine and consistently deliver the best in food, setting, service and value! Keep up the good work team! Great food with a view. The staff always makes you feel special. Wonderful place to take visitors to Sydney who like Indian food with a twist. My favourite is the smokey eggplant. Loved everything of this place Right from the ambience to food and service. Enjoyed the family dinner. Indian by still not typical. Pride if the community too ?????? I have been to Manjits at the Wharf numerous times,for lunch,dinner and Private parties.The food,service and ambience is Superb.Everytime I go,I get to try something new....and it never disappoints.The Food is beyond delicious!! 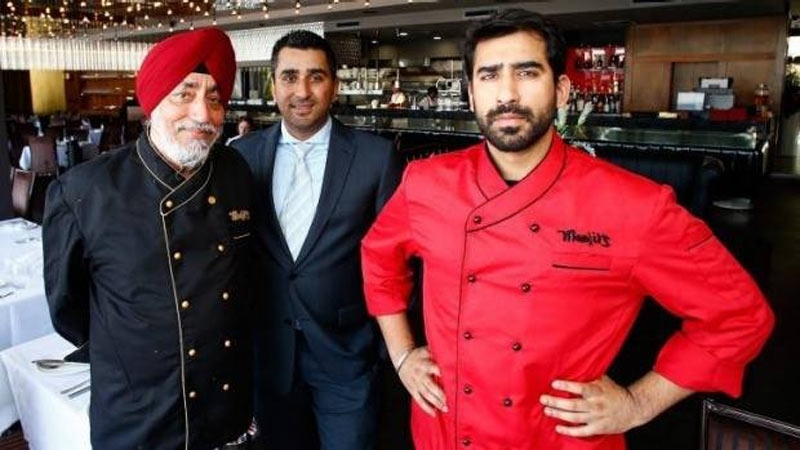 Manjit's at wharf is an important marker in the development of the Indian diaspora downunder and the upward mobility of Indian restaurants in Sydney. Wishing the team at Manjit's, continued success in their quest to provide quality food and service. See you soon ?? Few years back I organise the party in concord function centre recommended by family friends and I have found what I have heard from my friend who recommended me .everything above my amagination good food,well organised and specialy service by black uniform excellent. I impress so much and enjoy the food.when I heard about manjit on wharf I often dine in always enjoy the food and service excellent excellent excellent ???????? Fantastic service and outstanding food while overlooking the harbour, it doesn't get any better! We loved it so much here so we held our wedding recpetion at this resturant so that our guests could experience this gem!! From management to waiters to the head chef we were very well looked after at every stage. Manjit, Deep, Varun and the team are highly recommended! Amazing location, impeccable service, fantastic food! What can I say about this gem in the city? Amazing Indian fare with a sophisticated modern twist. The presentation of the restaurant and the dishes are second to none. I was so impressed with the food here - not just great to look at but absolutely delicious! It has officially become my favorite place to dine when visiting Sydney. Bravo Manjit’s! It is always an experience, to dine at Manjit’s, They always have something new on the Menu, for you to try and be surprised. Yummy food with excellent service?? The food was amazing and the service was terrific. Best experience ive had!!! Par Excellence in All ! Manjit’s ...What an amazing restaurant.! Has a great vibe always ,the best food in Sydney ... Amazing service and superb Decor ! Well deserved and wishing The Gujral family good luck and Sucess always ! Best restaurant in Sydney!!! Amazing experience in every way!!! Can’t wait for my next fix for the best Indian food ever!!! Authentic flavours with an iconic view! We’ve been to Manjit’s many times now and they never fail to please with amazing food set against the beautiful darling harbour skyline. Don’t miss out on a great dining experience! Simply the best Indian restaurant in Australia! Wonderful for glamorous events or a small lunch. Lovely staff, great service and a very handsome Chef! Always welcoming atmosphere with great presentation and mouth watering cuisines???? I’ve experienced Manjits @ The Wharf in various settings - Corporate lunches, Team events, Family dinners and to celebrate key life events of friends & family (Birthdays, Weddings et al). The team has always put forward a winning combination of highly professional service and delectable food. I wish them all the very best and look forward to my next dining at Manjits. After having the pleasure of experiencing Manjits @ the wharf during a function that we where attending, I chose to come back again to host a work function. Since then it has become a regular for myself, family and friends with the manjits team consistently providing A class service time after time. I would highly recommend that you take your time experiencing this venue with its amazing food and view of Sydney’s darling harbour. This restaurant is a culinary experience...the food is modern Indian so if you think Indian and need to think hot then think again it is filled with flavour and spices and not hot unless you ask for it. The presentation is wonderful and a feast for the eyes Staff are efficient and friendly and knowledgeable....the fish dishes are MUST eats. Varun, Deep and the Godfather of Indian cuisine MANJIT are always there to make us feel incredibly welcome. But that's not all. The food is spectacular, tantalising our tastebuds with the clever creations of Indian flavours. The detail is second to none. After licking the plate, I want to take it home as it's so gorgeous. Then another curse arrives and then another and another. Never a problem, never disappoints, this restaurant is now our GO-TO place for all occasions, regardless of number of guests. The view is gorgeous and my guests are always impressed . Sensational food and amazing service!!! This is fine dining Indian like you’ve never tasted before! 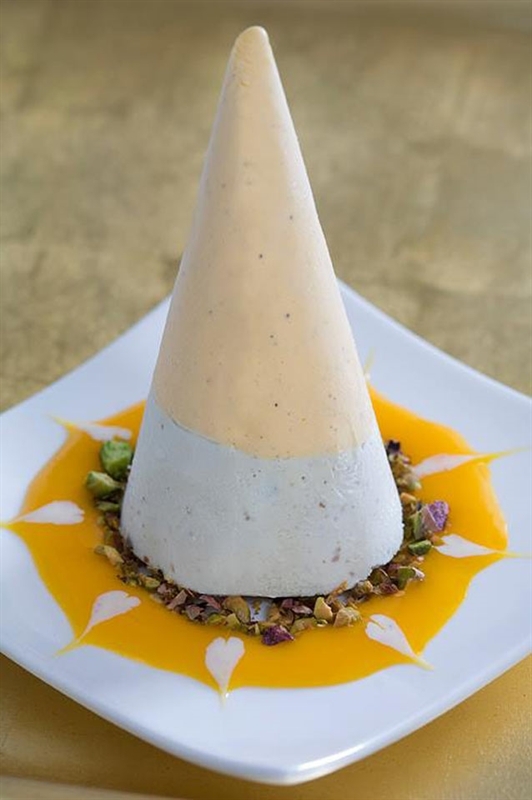 Attention to detail and flavour is Varun Gujral’s speciality. 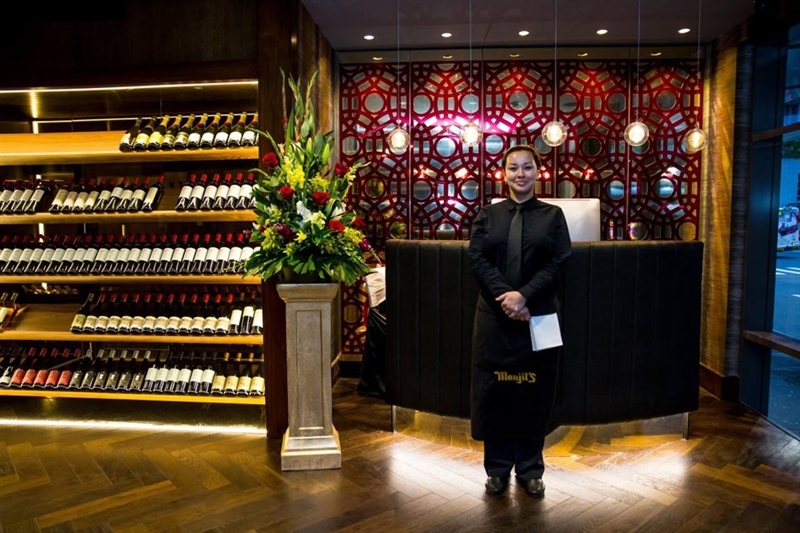 Experience the rich tapestry of true Indian cuisine at Manjits - it’s a must! Service is on point, wine selection is great, view is to die for and the experience will keep you coming back for more! Excellent ambience, food and service!! Really nice view from the restaurant, loved the variety of Indian dishes available; especially crab uttapam. Very good customer service. Had amazing experience ??? Absolutely the BEST Indian in Sydney. Fantastic venue and great food. Manjits and Varun are the perfect hosts. The lamb cutlets for starters are off the planet. Head chef Varun can turn it on with an off the menu long lunch that is a pleasure. Great food, great wine, great atmosphere! The staff are always very welcoming. The bug curry is amazing. It’s not Indian as you know it. VARUN IS STAR OF THE SHOW, Manjits is tge the best in sydney !! A very elegant restaurant. Food is outstanding and service was great. Would recommend everyone to visit manjit's @ the wharf. Not forgetting the views. The Bharrah kebab (land cutlet) is my favourite dish - simply amazing!